The past week has been hectic to say the least. Running around getting stuff ready, planning our itinerary -- it’s always stressful in the days leading up to a trip. But the day is finally here and I'm flying off to London tonight! I think I've finally managed to figure out most of my packing, now it's just getting everything to fit in the suitcase. The blog will be on hiatus for the next two weeks while I'm away, but once I return, I will have many London related posts so be sure to check back then. 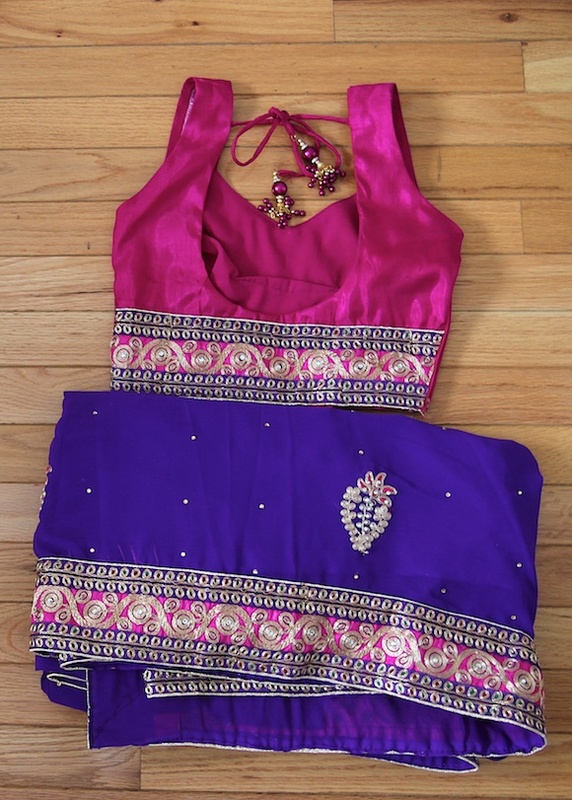 In the meantime, here's a sneak peak at my beautiful sari that I will be wearing at my friend's wedding. I'm a bridesmaid and I'm so excited to wear this!